McLaren has announced that it will launch 18 new cars by 2025. By this time, the car manufacturer expects all its mainstream production models to be set-up with hybrid powertrains. These new models will include a direct successor to the McLaren P1 hypercar, in addition to the recently revealed Senna and the three-seater BP23. The latter is due to be revealed later, this year. However, McLaren has also said that some of its future limited-production hypercars might still rely on internal combustion engines, alone – some of which sit in the brand’s top-tier Ultimate Series. 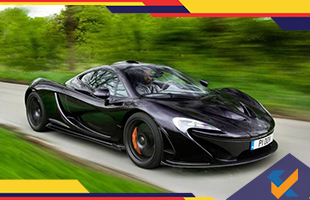 The plans were announced by McLaren at the Goodwood Festival of Speed. The £1.2-billion business plan – dubbed ‘Track25’ – is a follow-up to the carmaker’s Track22 strategy announced in 2016 in which it announced 15 new models by 2022. The 18-car-strong line-up will include replacements to the current entry-level Sports Series range, and mid-level Super Series range. All of this implies that McLaren’s production will reach 6,000 units per year by 2025 (McLaren sold 3,400 cars last year) and shall remain at McLaren’s plant in Woking. Our sister publication, Autocar UK, previously reported that the next-gen McLaren sportscars will arrive from 2020 and will be built on hybrid powertrains, starting with a 570S-replacement. Each subsequent replacement sportscars will also use a hybrid powertrain. While current models all use a version of McLaren’s twin-turbocharged V8, the hybrid powertrain is likely to use a smaller-capacity turbocharged V6. McLaren boss Mike Flewitt would not confirm as much, but he did say that McLaren was already testing the hybrid set-up to make production in a 720S mule.